In response, the Southeastern Pennsylvania Tobacco Control Project, an initiative of Health Promotion Council, has partnered with three LGBT community centers in Pennsylvania to educate our community, change the social norms, reduce the pressure to smoke, promote smoke-free pride celebrations, and promote tobacco cessation for the LGBT community. The most recent example of collaboration was realized through a co-branded two-month ad campaign in Philadelphia Gay News (an LGBT news outlet that does not accept tobacco industry advertisements!) The ad, co-branded by three LGBT community centers, ​Bradbury-Sullivan LGBT Community Center in Allentown, LGBT Center of Central PA in Harrisburg, and William Way LGBT Community Center in Philadelphia, along with the Southeastern Tobacco Control Project, encourages smoke-free living (#LGBTSmokeFree) so our community can enjoy living proudly and living longer. For us, it is critical that this message comes from LGBT community centers. 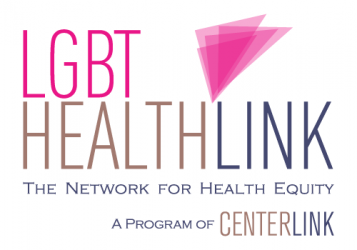 Those who walk into our centers trust us to provide information about LGBT rights and LGBT health. This new campaign, #LivingProudlyLivingLonger is about ensuring that our community experiences a high-quality of health, which tobacco-free living can help us achieve! Adrian Shanker (He/Him/His) has been an activist, organizer and an advocate for the LGBT community for more than a decade. He serves as Executive Director of Bradbury-Sullivan LGBT Community Center and previously served as President of Equality Pennsylvania where he led successful campaigns to advance non-discrimination and relationship recognition ordinances in municipalities across Pennsylvania. Previous Post This Week in #LGBTWellness: Pride Events To Just Say No! Next Post #LGBTWellness News: Bullying Our Seniors?